1. Powley, K. D., Dahlstrom, D. B., Atkins, V. J., and Fackler. M. L. Velocity necessary for a BB to penetrate the eye: an experimental study using pig's eyes. Wound Ballistics Review (1997) 3(1):10-12. 2. Smith, W. H. B. Gas, Air and Spring Guns of the World. Harrisburg, PA: Military Service Publishing Company, 1957. 3. Beyer, J. C. (ed). Wound Ballistics. Washington, D.C.: Office of the Surgeon General, Department of the Army, 1962. 4. Lawrence, H. S. Fatal non-powder firearm wounds: case report and review of the literature. Ped. 85(2):177-181, 1990. 5. Bond, S. J., Schnier, G. C., and Miller, F. B. Air-powered guns: too much firepower to be a toy. J. Trauma (1996)41(4):674-678. 6. Koffler, B. B. Zip guns and crude conversions — identifying characteristics and problems. J. Crim. Law, Criminol. Police Sci. 60(4): 520-531, 1969. Part II, 61: 115-125, 1970. 7. Book, R. G. and Botha, J. B. Zulu zip-guns and an unusual murder. Amer. J. Forensic Med. Path. 15(4):319-324, 1994. 9. DiMaio, V. J. M. and Spitz, W U. Variations in wounding due to unusual firearms and recently available ammunition. J. Forensic Sci. 17:377-386, 1972. 10. Betz, P., Pankratz, H., Penning, R., and Eisenmenger, W. Homicide with a captive bolt pistol. Amer. J. Forensic Med. Path. 14(1):54-57, 1993. 11. Frost, R. E. A suicidal wound inflicted by a "Power Head". J. Forensic Sci. (1994) 39(5):1321-1324. 12. Personal communication with K. De Alwis and B. H. Win. 13. Thompson, R. L., Gluba, B. M., and Johnson, A. C. Forensic science problems associated with the accelerator® cartridge. J. Forensic Sci. 29(1):162-168, 1984. 14. Timperman, J. and Cnops, L. Tandem bullet in the head in a case of suicide. Med. Sci. 15(4): 280-283, 1975. 15. Mollan, R. A. B. and Beavis, V. A curious gunshot injury. Br. J. Accident Surg. 9(4): 327-328, 1978. 16. Tate, L. G., DiMaio, V. J. M., and Davis, J. H. Rebirth of exploding ammunition: a report of six human fatalities. J. Forensic Sci. 26(4) 636-644, 1981. 17. Lantz, P. E., Stone, R. S., Broudy, D. and Morgan, T. M. Terminal ballistics of the 9 mm with Action Safety Bullet or Blitz-Action Trauma (BAT) ammunition. J. Forensic Sci. 39(3):612-623, 1994. 18. Archer, D. H. R. (ed). Jane's Infantry Weapons — 1977. Jane's Yearbooks. London: Paulton House, 1977. 20. Miller, R., Rutherford, W. H., Johnston, S., and Malhotra, V. J Injuries caused by rubber bullets: a report on 90 patients. Br. J. Surg. (1975) 62:480-486. 21. Touquet, R. and Challoner, T. Plastic bullets in Northern Ireland. BMJ (1990) 301:1053. 22. Hiss, J., Hellman, F. N., and Kahana, T. Rubber and plastic ammunition lethal injuries: the Israeli experience. Med. Sci. Law (1997) 37(2):139-144. 23. Gonzales, T. A., Vance, M., Helpern, M., Umberger, C.J. "Legal Medicine," in Pathology and Toxicology, 2nd ed. New York: Appleton-Century-Crofts 1954. 24. Rothschild, M. A., Karger, B., Strauch, H., and Joachim, H. Fatal wounds to the thorax caused by gunshots from blank cartridges. Int. J. Legal Med. (1998) 111(2):78-81. 25. Shepard, G. H. Blank cartridge wounds. Clinical and experimental studies. J. Trauma 9(2): 157-166, 1969. 26. Wright, R. K. Injuries caused by electrical guns. News and Views in Forensic Pathology. 6:2-3, 1978. 27. DiMaio, V. J. M., Dana, S. E., Taylor, W. E. and Ondrusek, J. 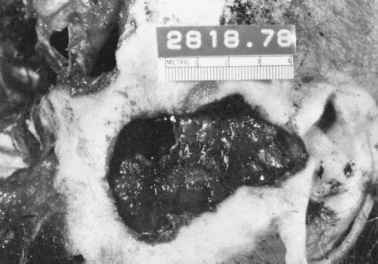 Use of scanning electron microscopy and energy dispersive x-ray analysis (SEM-EDX) in identification of foreign material on bullets, J. Forensic Sci., 32(1):38-47, 1987. 28. Petraco, N. and De Forest, P. R. Trajectory reconstructions. I: trace evidence in flight. J. Forensic Sci., 35(6):1284-1296, 1990. 29. Piddington, M. J. Comparison of the exterior ballistics of the M-193 projectile when launched from 1:12 in. and 1:14 in. twist M-16A1 rifles. Ballistics Research Lab. Report 1943, October 1968.